Recently, on a rainy Saturday, I decided it was time to glean my shelf and find a good book to curl up with. What I found was a gem that had been forgotten. I remember buying it because the title intrigued me, “Sensible Shoes: A Story about the Spiritual Journey”...if there are two things I love it is books and shoes :) So with coffee in hand I sat down and entered a journey I had not anticipated. 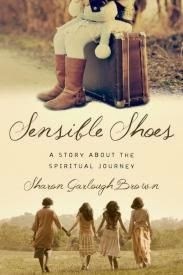 Sensible Shoes is the story of four women who find themselves drawn together as they join a class at a local spiritual retreat center. Meg, Hannah, Charissa and Mara come from very different walks of life. Each has struggled with everyday issues such as letting go, control, trusting God, people pleasing, perfectionism, hiding behind busyness, fear regret, guilt and shame. They soon find connection as they share a journey of freedom, healing and transformation. Each introduction begins with a narrative of an event from the women’s past moving then into their present. I was instantly drawn into their stories and as I got to know each one better, found myself being able to relate to their experiences. It was great to watch as these women found connection with one another, building friendships that were honest and supportive. Author Sharon Brown shares many of the spiritual disciplines that can impact our lives: prayerfully reading the Word of God, journaling, learning to sit in stillness and silence. She helps others find a sacred space in which to encounter the living God! 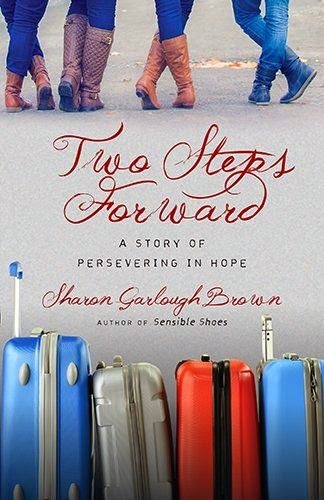 I thoroughly enjoyed this book and look forward to reading the second one, Two Steps Forward: A Story of Persevering in Hope, which is due to be released in October 2015. So grab a coffee (or tea), put on a pair of comfy shoes and take a walk on the sacred journey. If you are interested in using this for a book club you can find a companion guide to download here. I can’t imagine what my life would be like today if it were not for my grandma who pretty well raised me. Despite all the heartache and challenges she faced, her sacrifices gave me deep roots from which to grow. And now that I’m a grandma, I want to give my grandchildren what they need from me. We each come into this world with generations of family history attached to our names. And we each go out of this world having added a chapter or two to our family’s legacy. Our lives influence our grandchildren and others around us – whether we realize it or not. How will our chapter read? 1. Exercise Grace. Give them freedom to be different, provide love and security even when they make mistakes, and offer space where they can be heard and grow without judgment. 3. Be Light. Be a light that penetrates the darkness, walks with compassion, and leads them to The Light. 4. Live Faith. Inspire them to be courageous, teach them to focus on Sovereign God rather than the storms around them, and never give up – especially on them. 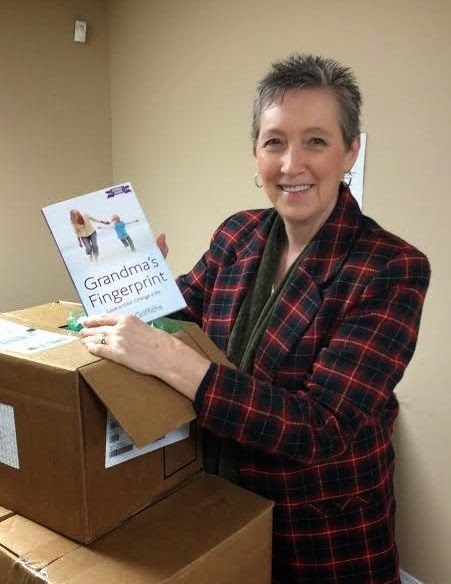 When I wrote Grandma’s Fingerprint it was to pay tribute to my grandma, tell the story of our walk through life together, and encourage grandparents and grandparents-to-be about the vital role they play – whether living far or near to their grandchildren. Please join us for Grandparents in the House where we’ll launch the expanded version of my book, Grandma’s Fingerprint you will meet a panel of grandparents whose journeys are all different.